According to studies by Baymard Institute, 67.45% of customers place products into their carts only to change their minds and click away. Other studies have placed the percentage as high as 80%! The reasons why customers abandon carts vary. They might have lost their Internet connection. They might have become distracted, or realized they were late for something. They might simply have changed their mind. Most of the time, shopping cart abandonment isn’t a reflection on your business at all. 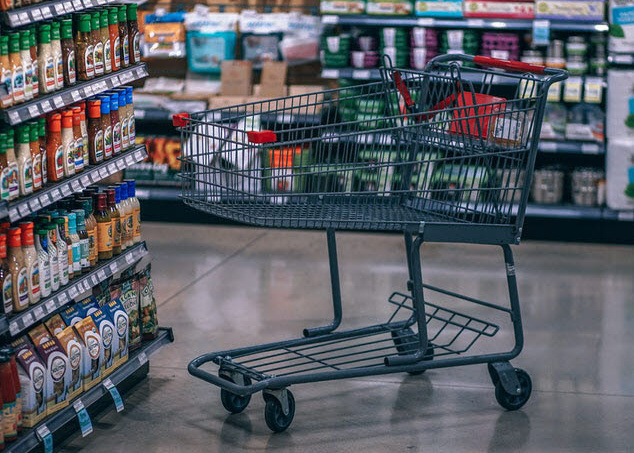 Here are seven factors which will help you convert more sales and reduce the number of abandoned shopping carts in your store. It can be tempting to hide costs, but 25% of customers have identified expensive shipping as the number one reason they would abandon a cart. Too often I myself have gone online to buy a product, only to be shocked at the total once shipping charges were added! Expensive shipping isn’t the only thing which might turn customers away; costs such as required complementary items and taxes can also frustrate buyers. The easy way to fix this problem is simply to be upfront about everything. Let customers know from the get-go how much they’ll be expected to pay for shipping and taxation. Better yet, increase the prices of your products to include shipping and make shipping free! That way, customers will have a more accurate oversight of what they’re spending, and they’ll view the ‘free’ shipping as an improved service! In a study by CRC Strategy, 93% of customers said they would buy more if shipping were free. When I am on a website which sells a lot of products, I’ll place the ones I want to have a closer look at into my cart. For me, a shopping cart is the same as a ‘save’ function. Once I’ve finished browsing I can have a second look at the products and make a decision.And I am not alone in this. According to figures by Statista, 40% of customers in 2017 often acted the same way. So what you see as an abandoned shopping cart, may have been a simply reminder function for a visitor. But once a customer has added a product into a shopping cart, you have already won half the battle! Even if customers are only browsing, it shows they have an interest in what you are selling. If you make the shopping process easy for them and you are competitively priced, there is every chance they will return and buy in the future. To help you with this, ShopFactory stores remind returning customers of the products they have already stored in the shopping cart. When it comes to birthdays, anniversaries, emergencies and holidays people often buy products they need to receive them quickly. If you don’t have an expedited shipping option available for your store, you could be losing sales because of it. Thankfully, there is a very easy fix for this: just add an express shipping option. When customers need items quickly, they will pay extra to receive deliveries on time. Reasons why customers abandoned carts, 2016-17. When it comes to buying online, the actual process of ordering is the last step. But how much are you asking of your customers? If you’re unsure, have a think. Would you go through your own sign up process? 28% of customers abandon shopping carts if the ordering process is too long or complex. When it comes to buying, streamline the process as much as you can. Avoid asking customers to fill out unnecessary forms. Only ask for the information you need and minimize the number of screens customers will need to click through. Luckily for you, ShopFactory has done the research and has created an effective checkout function to help customers easily purchase products. sure your website won’t deter customers you’ll have to take a few steps. Always pick a website layout which is mobile phone and telephone optimized. The majority of Internet users now access the Internet through their phones. If your website is only designed to look good on desktop you are missing out. Websites which aren’t mobile optimized will result in more abandoned carts, because they are awkward for customers to navigate. Keep your website updated. Make sure you have up to date security on your site, and take steps to increase your loading time. ShopFactory stores are mobile optimized and secure to keep your customers happy. People who buy online want to do so quickly and easily. Studies have shown that 22% of online customers abandon their shopping carts if they’re forced to create a user account. Enabling guest checkout and asking for sign up after a purchase will eliminate this problem . Many people will also never create an account, and don’t view it as essential, even if they are repeat customers. Try to add value for those who do sign up, such as exclusive discounts, but ensure that everything is optional. Good return policies make shoppers feel safe. Up to 66% of shoppers spend more if they believe they can return unwanted products (even though most people never actually do). Customers who are on the fence when it comes to purchasing a product may decide to buy or abandon depending on the ease of returning it. My advice is to implement a free 30-day return policy. Make sure you can track exactly how much this costs you, and compare your sales figures for before and after implementing the change. You might find that offering free returns for the first thirty days after a product is purchased actually boosts your profit. Of course in some countries the ability to return products purchased online is legally stipulated. But by highlighting this as a feature you are still setting yourself apart, as not all customers are aware of their rights. By following these seven steps you can reduce shopping cart abandonment and make more sales. If you are familiar with ShopFactory, then you’ll know that many of these steps are already taken care of by our software. But it’s still up to you to offer the right shipping charges, to be upfront about your costs and to highlight your returns policy.